When the Case Conference blog was first started in 2008, there was always hope to find an editor to oversee it, but early collaborations ultimately did not facilitate stable editorial leadership. The aim to use cases to illustrate important teaching points in palliative care is still an important one. The University of Pittsburgh Palliative Care Department has graciously allowed us to continue to be a publishing venue for their excellent teaching cases. We are hopeful to see more open access case based publications from fellowships, palliative care departments and hospice organizations. Pallimed is committed to being a quality forum for these cases going forward. So for ease of publication and the importance of delivering good content on a consistent basis we will be importing the already published cases to the main Pallimed site over the next year. In addition to these historical cases we will be looking for new cases and encourage submissions for potential publication on Pallimed. All cases will be double de-identified (once by the author and once by the Pallimed editorial staff) for protection of the involved parties. The move will also give us an opportunity to start re-labeling some of these posts based on symptoms, clinical setting and other various organizing principles. We will be working on importing the comments that have already been made on the historical cases since the comment threads on cases.pallimed.org are now closed. There may be some technical hiccups as we get the comments and posts synced up so please bear with us. 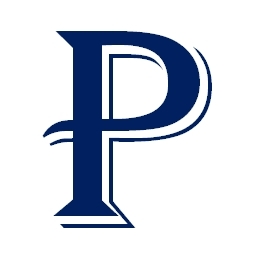 All Case Conference posts will be labeled with a dark blue P and the Pallimed Case Conferences logos. New and re-published posts will be clearly identified so you do not read back through the same content (if you do not want to). All cases will have references and the availability of open access PDFs will be prioritized and highlighted. Current Email Subscribers: All current email subscribers to Cases will be imported to the main Pallimed list. I will work at removing any duplicate subscribers, plus the email updates have a very simple unsubscribe option. If you are only interested in Case Conferences we eventually will be moving to a new subscription system in the May 2013 which will allow for you to just choose Cases if those interest you most. Comments: Comments on cases.pallimed.org are now closed We will sync your comments over to the new post in addition to posting a follow-back link. But I'm a pediatrician. I don't do "death."